"Stacie was our childbirth educator and doula. She provided evidence-based education which can be very difficult to find even with your OB provider. Sadly, the majority of information seems based on opinion rather than science. Stacie's evidence- based information was like a breath of fresh air for someone like me who is constantly seeking the truth. We miss her since she moved and are sad she can't be with us for our future children." 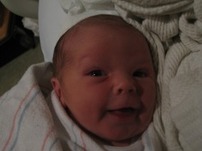 "My husband and I took Stacie's childbirth classes! It was our fourth child but it had been a long time since our last baby. She was WONDERFUL! It was nice to be able to talk to her about our fears and questions we had. She always had great information and direction for us. 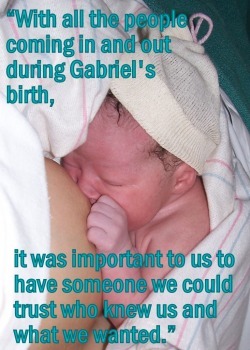 I am so glad that I had her to talk about breastfeeding and all that goes with it. I am proud to say that I am still breastfeeding today thanks to her!" "I attended several breastfeeding and parenting support groups that Stacie facilitated. Not only was she highly educated and helpful to the many mothers seeking advice, but she was also very personable and warm. I greatly enjoyed these support meetings and I would recommend her expertise to mothers and expectant mothers alike." "Bo and I really appreciated your class. We both felt like we were well prepared and educated going into the hospital. It's funny, because before your class I never even considered trying to deliver without getting drugs or an epidural. I always had the mindset of, I'm in these times for a reason so I'm taking the less- pain route! Now I'm so glad that I did it naturally and I have the confidence to deliver my future babies naturally too. It was certainly a hard ordeal...it wasn't easy, but it was just a matter of not psyching myself out and knowing that my body could do it. Bo was a wonderful support during everything too and had complete confidence in my body's ability."